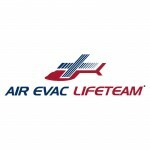 Air Evac Lifeteam is an independently operated and owned membership-supported firm. They are the largest company in the region of Missouri to provide air medical services. They conduct operation through mutually supportive air medical facilities. The medical team was founded in 1985. They were created to serve the region of rural areas of Missouri Ozark in order to provide medical assistance to the unprivileged inhabitants. Corporate office of the firm is located at West Plains, MO. They serve over fourteen states, including Arkansas, Illinois, Georgia, Alabama, Iowa, Indiana, Kentucky, Missouri, Mississippi and many other underprivileged areas. They have near about one hundred and five bases of medical support by air. They even provide largest air ambulance service across eight states. There are currently 0 consumer reviews about Air EVAC Lifeteam available. Share your review. Please take a note that you are about to post a public review about Air EVAC Lifeteam corporate office on CorporateOffice.com. This review will be public, so please do not post any of your personal information on this website. If you would like to contact the corporate offices of Air EVAC Lifeteam, please use their contact information such as their phone number, website, and address listed above to contact them. However, sometimes staff from Air EVAC Lifeteam headquarters do read the reviews on this website.